We Care. We Want Greece to Prosper. By John P. Calamos, Sr.
Once again, Greece is at an important crossroads. I believe, however, that despite its current difficulties, Greece can once again take its place as a leader in western civilization. I recently had the privilege of being among a group of Greek American business leaders who met with Greek Prime Minister George Papandreou to offer our views on how Greece could compete successfully in the world economy. 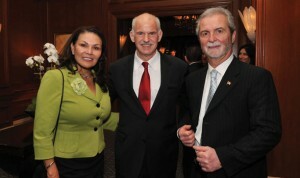 Mr. Papandreou seemed sincerely interested in our opinions, listening intently and taking copious notes. Since then I have continued to consider what can be done and, most importantly, how we might be able to help. Our recent celebration of Greek Independence Day only served to remind us all, not only of the intense struggles of the Greek people, but also of the deep meaning and strength we all take from our Greek heritage. We care. We want Greece to prosper. The reality is that Greece’s entrance into the Euro zone has had unintended consequences. Greece is not competitive. The country’s global trade deficit in 2009 was $42.8 billion, 250% of its total exports. Greece’s primary competitive trade advantage lies in agricultural products such as vegetables, dairy products and eggs. Unfortunately, any recovery based on such products will likely prove unsustainable because of abundant supplies from other trade nations. On March 2, Prime Minister Papandreou announced that Greece’s debit is now over $400 billion, a staggering 125% of Greece’s gross domestic product (GDP). The challenge is to find a way that will enable Greece to both reduce its debt and increase its competitive stance in the global economy. Debt reduction requires the adoption of an austerity program of unprecedented severity—one that would significantly cut government spending, raise taxes and depress salaries. These actions, of course, are the direct antithesis of what is needed to grow the economy, create jobs, enhance demand and make Greece competitive. As painful as it sounds, I believe that Greece should heed the advice of the many European academic who have suggested that Greece withdraw from the Euro. They estimate that a 40% devaluation would be required to enable the Greece currency to recover the ground loss since entering the Euro. Greece could also benefit from the wisdom that the Chicago School of Economics and Milton Friedman provided to Chile many years ago. As a result of policies adopted in response to the Chicago School’s coaching, I believe the devastation caused by the recent earthquake in Chile will not have a serious long-term impact on the country’s economy. In fact, it might even boost growth by fueling a boom in the construction industry. What does all this mean for Greece? Some of Greece’s economic problems are highly specific—a dated legal system, a closed economy and the lack of a centralized land registry. However, Greece also shares the problems of other European countries that offer substantial benefits to all its citizens. History records that government largesse generally leads to massive unemployment. Research shows that generous unemployment benefits, wage guarantees and employment protection policies hurt both productivity and the economy as a whole. There is abundant research and historic precedent that can help Greece once again become a leader. 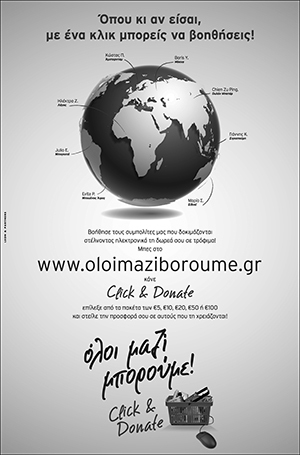 Now is the time to for Greece to take control of its economy and begin the work needed to ensure a strong future! *** John P. Calamos, Sr. is CEO/Co-CIO of Calamos Investments www.calamos.com. For questions or comments please write to JPCsr@calamos.com, or call 888.857.7604. The opinions referenced are as of April 2010 and are subject to change due to changes in the market or economic conditions and may not necessarily come to pass. Information contained herein is for informational purposes only and should not be considered investment advice. Greeks need to stop thinking about the ‘Glorios Past’. 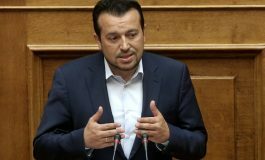 Given the history of Greece since independence, it is prepostrous to believe that it will be ever be a leader in anything other corruption and incompetence. Since the crisis started Greeks have created a very bad impression in Europe by blaming just about everybody else for their problems. The low point was accusing the Germans of being responsible. Ever since Greece joined the EU the Greeks have consistently lied and stolen EU money and that is why the majority of Europeans would prefer to see Greece ejected from the Eurozone and the EU. Good riddance to bad rubbish.